We are a distinguished Floor Lathe Machine Manufacturer, Exporter & Consultancy in India. 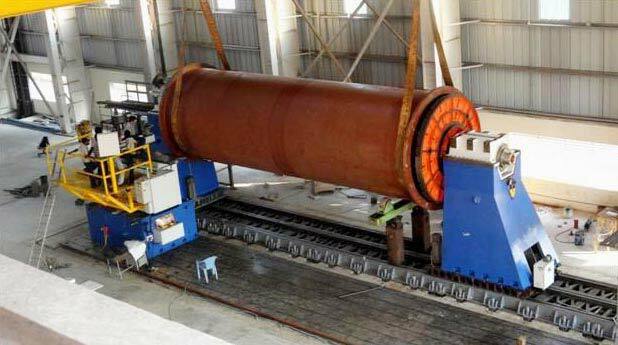 The Floor Lathe Machine is designed for Heavy Duty Turning on large Components of Cement Plants, Sugar Mills, Reactors, Ball Mills, Power Plants, Turbines, Mining Equipment etc. The Floor Lathe Machine can be offered suitable for Floor Type or Pit Type Installations. The Floor Lathe Machine is built on modular concept and has a freely moving X-Z Axis Tool Post that can be positioned any where along the Job length. X-Z Slide can be programmed for plain & taper turning. The "Z" axis stroke in steps of 500mm provided from 1.5 mts onwards. Tail Stock positioning is done through motorized Rack & Pinion arrangement. The Floor Lathe Machine’s flexibility is extended with the availability of attachments for milling, drilling & spindle indexing.